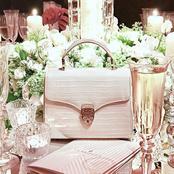 A cause close to our hearts is The British Beekeepers Association. Here is an overview on what they do and why the sustainability of bees is fundamental to our ecosystem. 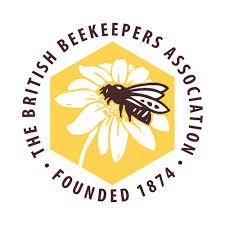 The British Beekeepers Association (BBKA) was founded in 1874 and today it represents, at national level, the interests of 24,000 amateur beekeeper members and the 3 billion honey bees they care for when pollination activity is at its peak. The BBKA's objectives are to 'further and promote the craft of bee keeping and to advance the education of the public importance of bees in the environment. Education of the very significant numbers of new beekeepers and research project into health are important areas of current activity and investment'. Did you know that one in three mouthfuls of the food we eat is dependent on pollination at a time when a crisis is threatening the world's honey bees? Recent times have presented substantial challenges to the health of our bee colonies. The BBKA has campaigned, informed, educated and worked in partnerships to secure the future of our bees with and on behalf of the 24,500 Beekeepers we represent and of course to the benefit of food production and the environment. Their beekeeping activities support over 260 local associations. They work to improve the provision of pollen and nectar rich forage within the urban and farmed environment. By planting flowering plants for honeybees we can provide the forage nectar and pollen they need and in doing so this supports bumblebees, solitary bees and other pollinators. In turn this creates habitats, which produce the berries and seeds that wildlife depend on.